Also known as a thumb-drive, this is another place to hold your information that can go anywhere with you. The first time you plug it into your computer a window will appear asking you what you want to do with it. By clicking on “View Files” it will take you to a new window to show you anything you have saved to it. Since it is new there shouldn’t be anything there, but if you double click on the name of it you can rename it so that it is easier to find later when you do save something to it. In order to save a document there, simply go to “File”, then click on “Save as…” and type in a name for the document that makes sense. Make sure your flash-drive is where you are saving it to by clicking on the name you previously set to call it. 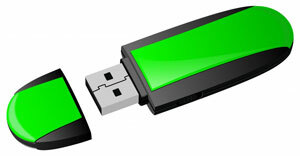 Thumb drives are a great back up but can also leave you vulnerable to needing flash drive data recovery if damaged. Make sure to keep the drive safe if it is your back up. Sending a copy to your own e-mail, may seem kind of pointless, but even if you do have a copy on your flash drive or on your own computer, you can lose the flash drive or are unable to find it on your computer later. You can copy and paste it into an e-mail, by highlighting everything and hitting Control and C to copy and Control and V to paste it into your e-mail. Another way to e-mail it to yourself is to add a file to the e-mail, which you do by composing a new e-mail and clicking on “Add File” then searching for your file on the computer you’re using (this can only be done after saving the document to the computer you’re currently using). By doing both methods in one e-mail you are increasing your chances of being able to see the work you had done because not all computers have the same abilities to view and edit the work depending on the year of software each one has. This is a great device used to type documents or create presentations. It sounds a lot like Word Document, but it saves you the hassle of having to save your own work by automatically saving every minute and it is accessible from any computer as long as you know your own e-mail address and password. If you deleted a piece of your work or possibly even the whole thing and you haven’t saved and closed out of it yet, just “undo” it by clicking Control and Z. The more times you click, the farther back you will go. If you’ve gone too far into the “undos” just “redo” the “undo” by clicking Control and Y. If you accidentally threw something away in the trash bin just double click on the trash can and find you trashed document to click on then click on”Restore”. Of course, there are other ways to retrieve your lost items like “System Restore” which will set your computer to an earlier date, but does cause you to lose any information/data from that date you choose to present day. By preventing yourself from losing any one piece of work, you prevent yourself from losing other data to get it back. If you are in need of data recovery for any of your devices contact us today. We service nearly any device that needs data to be recovery and have many locations across the country that can serve you. To see our service center locations click here, otherwise give us a call at: (888) 288-3282!